Rottweiler puppy playing with lemon! Cute Rottweiler puppy Kaisa has been filmed when she was playing with lemon. 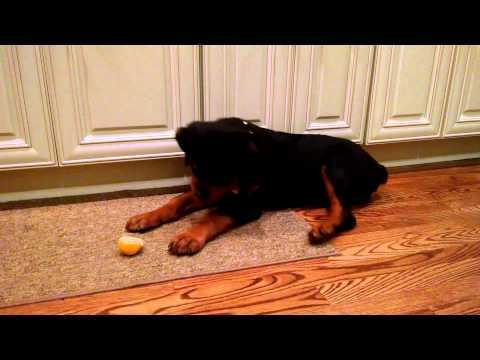 Amazing video shows three month old rottweiler, Kaisa, tries lemon for the first time. The reaction of Rottweiler that tries to understand lemon is so funny. My rottie loved lemons and that lemon would have only lasted seconds before being devoured.